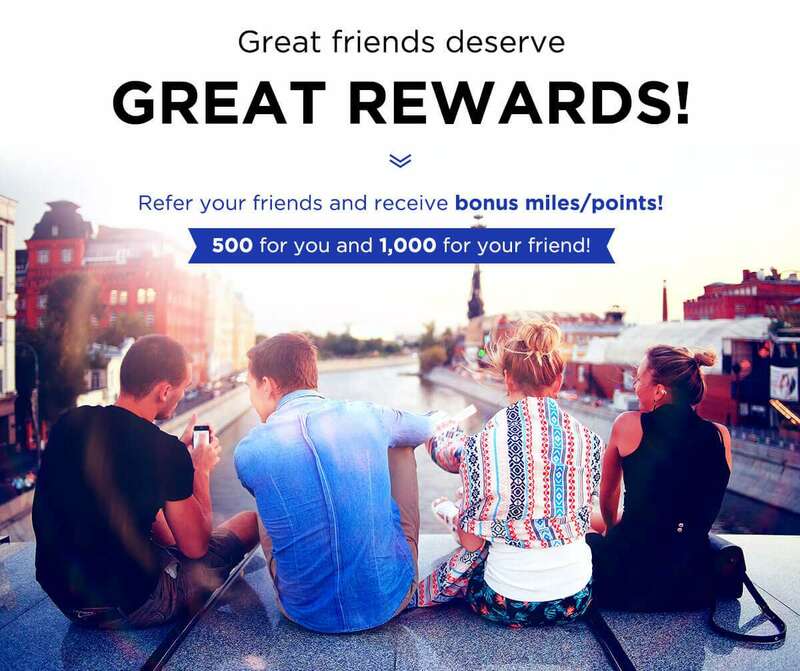 Home > Travel > Flight > [Kaligo] , introduce your friends to Kaligo and get rewarded! [Kaligo] , introduce your friends to Kaligo and get rewarded! Referring is easy. Simply share your unique referral link and have your friends book through that link. Done! You can always find your referral link, the status of your referrals and the terms and conditions in the account section on Kaligo. Enjoy referring! * Referral bonus miles/points are automatically issued in the loyalty currency the referrer chooses on his/her next Kaligo booking and credited when the referrer completes the corresponding hotel stay.